Proud to be part of the future. As much as the people’s habits and desires will evolve, as much the industry will have to adapt and even lead the way - always one step ahead. Welcome to Motherson Innovations, the Samvardhana Motherson Group’s cross-divisional team for the support, development and production of enhanced solutions. The JV between Motherson Innovations and Ossia has the objective to bring Ossia's Cota® wireless power system on the road. Motherson Innovations is bundling most skilled engineers, researchers and business developers of the Samvardhana Motherson Group’s subsidiaries to one tightly cooperating organization which develops new technologies and creates platforms for new ideas to be launched. Ossia is challenging people's core assumptions about what is possible with wireless power by leveraging its flagship technology, Cota®. The JV focuses on the global integration of Cota® wireless power technology into a wide range of passenger, commercial, and public transportation vehicles. 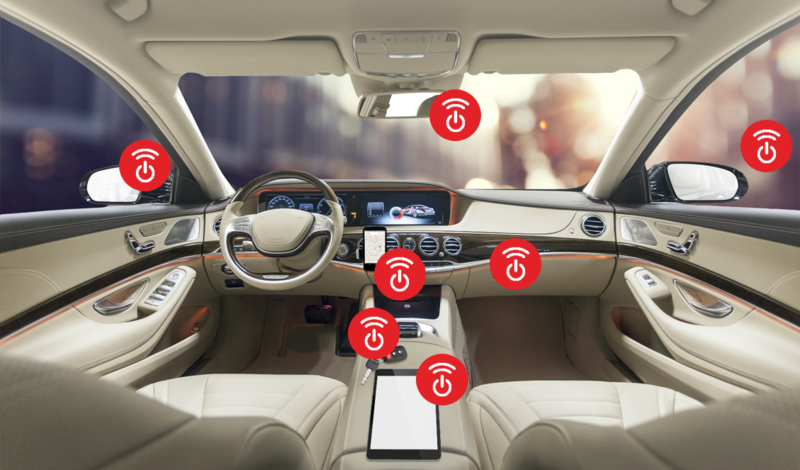 Cota, a patented smart antenna technology, will automatically keep m ultiple devices — from safety and environmental automotive sensors to consumer mobile devices in cabin — charged without any user intervention.The JV aims to have its systems deployed in both private and public vehicles by 2021. Samvardhana Motherson Group is one of the 26 largest automotive suppliers worldwide, employing over 100.000 people in more than 230 production facilities in 37 countries on all continents. In the fiscal year 2016/17 the Group generated external sales of USD 9.1 billion. Ossia is an independently owned technology company headquartered in Bellevue, Washington. Motherson Innovations is a full service industry expert serving market segments including automotive, medical, white goods, consumer goods and clean-tech. The company is driven by researching and networking with leading industry partners, sharing best technologies and process solutions in all areas. Behind you becomes in front of you. Digital image processing technology has become conventional in many areas of people's lives. Motherson Innovations and its sister division SMR are one of the first to have transferred this technology into automotive - to add more safety to rear view systems and to now fully replace conventional mirrors. SMR is certain that vehicles without conventional exterior and interior mirrors can be seen on the road in the near future. The expert for mirror and camera systems at the globally operating Samvardhana Motherson Group is working on a serial introduction of digital mirrors. For several years, a global team of specialists consisting of experts from Germany, Australia, England, India, and the USA has been testing various digital rear-view mirrors for passenger cars and trucks, which have been developed in-house using test vehicles on the road. 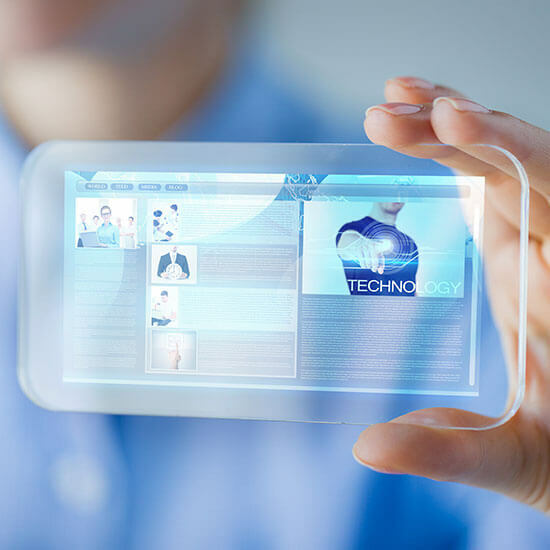 There is a general trend away from simple image-reproduction systems to intelligent, ergonomically optimized systems with integrated object detection and augmented reality, extended security and comfort functions. While the market has lacked automotive-capable technologies that meet the requirements of large-scale production thus far, SMR is now ready. The core piece: a specialized camera and powerful image-processing electronics for the reliable output of ergonomically optimized images to displays inside the vehicle. Legislation now also allows for the progressive replacement of mirrors by cameras, which became effective in Japan and Europe in 2016, and this important step is is under preparation in other relevant regions. Vehicles and products which meet the rules of homologation can thus be granted general operating licenses. SMR offers a high-tech system approach with globally networked partners and competences. The vision is: “We don’t miss a thing that goes on around the car.” Intelligence is one of SMR’s key competences - from image-data capture to digital processing, risk assessment of the surrounding traffic, and the relaying of situational information to the driver. “With, high quality and ergonomically optimized image reproduction, we want to eliminate the weak points of today’s mirror and vision systems in order to ensure safe and relaxed driving,” says Dr.-Ing. Alexander Slama, Development Manager for Digital Rear-View Mirrors at SMR. The team is co-operating with several car manufacturers in America, Europe, and Asia with the aim of beginning economic series production of the cutting-edge technology with its enhanced safety features. For this purpose, the team is able to draw on the most extensive experience in the market thus far: SMR's technology for Image based object recognition while driving has been installed and driven in many Volvo models over the last 10 years. Highly sensitive cameras capture the complex traffic circumstances. Using high-performance image processors, the scenarios are analyzed for potential dangers by means of algorithms and simultaneously displayed on ergonomically optimized screens in the vehicle interior. One interesting optional feature: escalating warning messages that have been intelligently adapted to the driving situation. Using augmented reality, the displays show the danger precisely where it occurs. 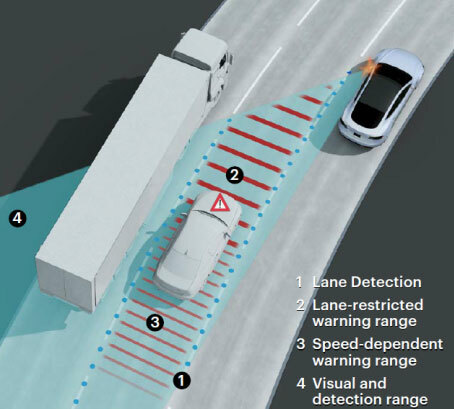 The system detects near and passing objects, such as vehicles, cyclists, and pedestrians, for example, and warns the driver of potential collisions in advance by way of warning symbols or warning lights. The calculation of the potential collision time and the exact positions of adjacent vehicles in the individual lanes is a key factor in the escalation of the warning. Thus, rear-view systems become useful assistance systems. SMR’s digital exterior mirrors meet international standards such as ISO 16505 and ECE R 46 (Economic Commission for Europe) and were classified as belonging to the “Automotive Safety Integrity Level” (ASIL) - the prerequisite for use in road traffic. The specially developed HDR cameras (High Dynamic Range) take 60 images per second, process extremely fine contrasts and deliver images that can reproduce large differences in brightness both day and night. High-resolution, anti-reflective HD displays facilitate low-glare and low-reflection images. In the control units between the cameras and screens, a lot of intelligence can be found in a small space. Per control unit one image processor is responsible for image optimization, object recognition, and augmented reality. The control units are connected to the vehicle electronics via CAN bus and constantly monitor the function of the components for maximum functional safety. The system also has an image detection and contamination detection system: This kind of technology from SMR has been extremely reliable on the road for 10 years. Why replace mirrors with cameras? Among other things, some of the reasons for the introduction of digital rear-view mirrors on the part of vehicle manufacturers are the lower weight compared to exterior mirrors and the reduced air resistance, which result in fuel savings. Even water or dirt on the side windows, which has impeded the view of the outside mirrors thus far, is not a problem with cameras, since the displays can be found inside the vehicle, and are thus freely visible in any weather. At the same time, no large exterior mirrors obstruct the view through the front side windows, because the camera modules are significantly smaller than mirrors and can even be arranged so that the driver does not see them at all. When replacing the inside mirror with cameras, the rear window can even be completely omitted. An unbeatable advantage, however, is the possibility of a wide range of visual and ergonomic optimizations, such as brightening the image in the dark, adjusting the viewing angle according to the driving situation, and the dynamic display of information and warnings in the field of vision. With its subsidiary SMR, a global expert in the field of rear-view and camera-based object recognition systems, the Samvardhana Motherson Group possesses key competences for digital rear-view mirrors as well as development and production sites in all relevant countries. With its largest SMP division, the group is also an expert in cockpits and door panels and is therefore also optimally positioned for the integration of displays, control elements, and electronic modules. In addition, the Samvardhana Motherson Group offers comprehensive competencies for everything that can be incorporated into the camera housing, such as cameras, LED lighting technology, electronics, cabling, high-quality surfaces, and drives. 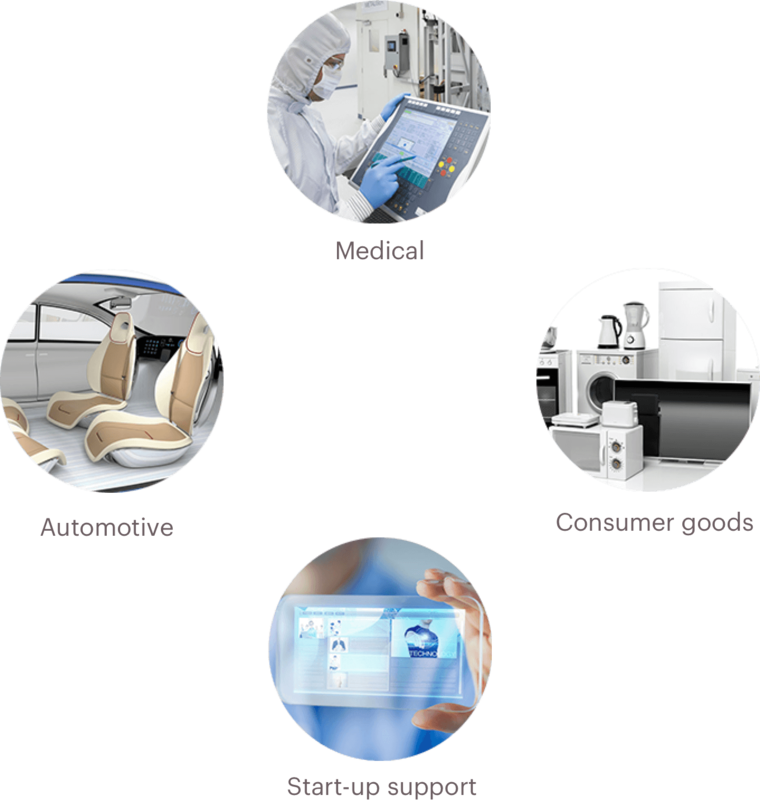 With its numerous product segments, it is a partner of almost all vehicle manufacturers and intensively cooperates with some of them in the field of camera-based environmental sensors and image reproduction systems. During four years, SMR and Motherson Innovations test vehicles with mirror replacement systems have been in use. 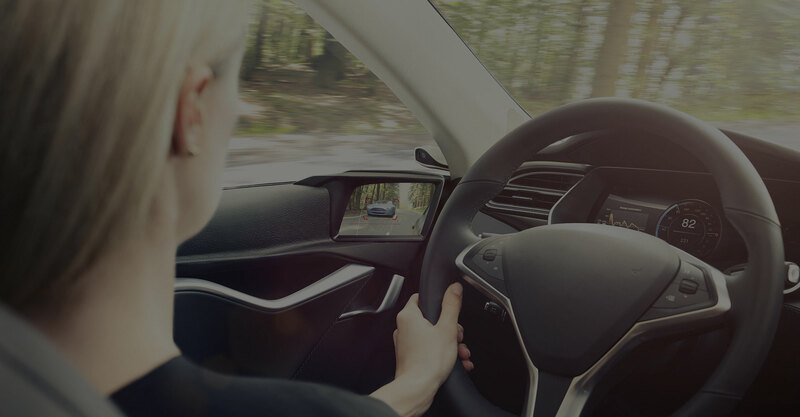 The latest test vehicle is based on a Tesla Model S which includes one of many options for configuration: intelligent digital exterior mirrors with object detection and digital interior mirrors with an extended visual range. An electric vehicle was deliberately chosen as Motherson Group is strategically positioned for electro mobility. 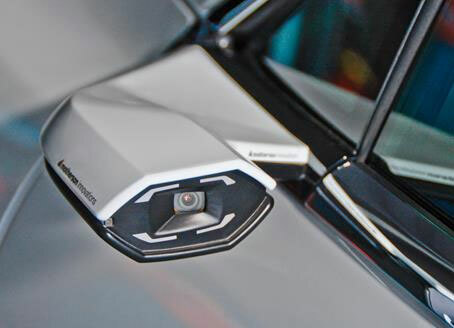 The camera modules are attached in the customary mounting positions for visual systems and have been stylistically adapted to modern vehicle design. The displays in the instrument cluster needs getting used to but are very clear thanks to the close positioning of the two viewing fields. In other test vehicles, screens are installed in the door panels or on the A-pillars. The various locations with their respective advantages and disadvantages can be defined together with vehicle manufacturers in order to correspond as far as possible to drivers’ habits. Screens: Provision of the high-resolution screen in the instrument cluster with images of the side cameras. The rear-view display is combined with the central instrument cluster in the test vehicle. At SMR, other vehicles are also used to test displays placed on the left and right of the steering wheel, in the door panels, and in front of the A pillars in the cockpit. The digital replacement of the interior mirror is attached at the usual interior mirror position, but can also be integrated into the cockpit. Object recognition: The video processor recognizes and tracks objects and road markings from several lanes that are located in the field of view of the cameras using special algorithms. SMR has developed these algorithms over the past 10 years and has refined them based on years of experience with serial production. In the event of another vehicle, cyclist etc. entering a defined danger area, the driver is alerted. Corresponding warning messages are displayed on the screen, but can also be implemented using warning lights or signal tones. For the Samvardhana Motherson Group, a global leader in automotive interiors and exteriors, research in new materials and surfaces is key to maintain and further enhance its market position in a highly competitive industry – and a gateway to new market segments. 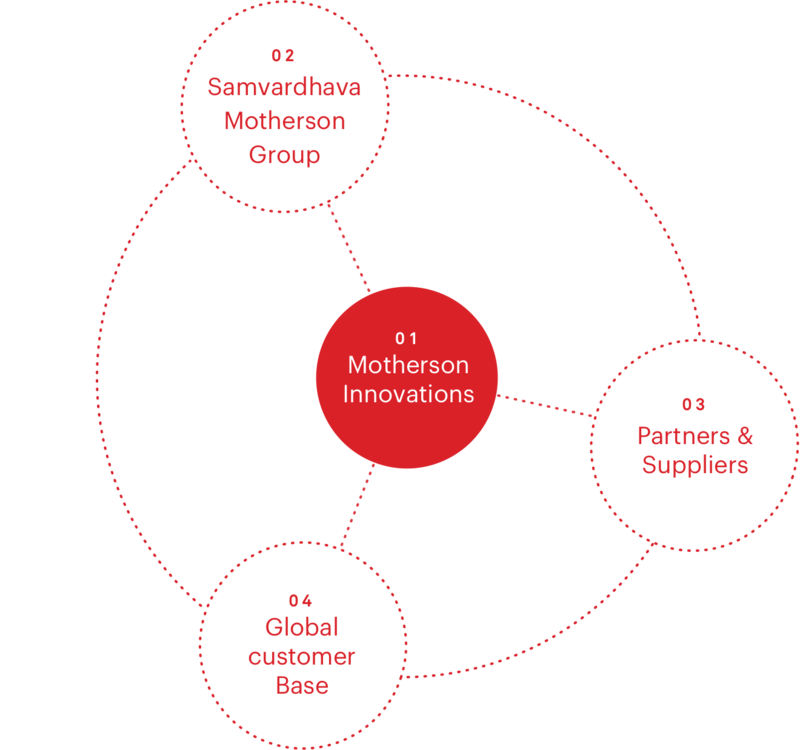 Motherson Innovations helps to set up new companies and guide them from start-ups to mature and successful organisations. We help bring new technologies and new ideas to life where we believe they can create great value for society. 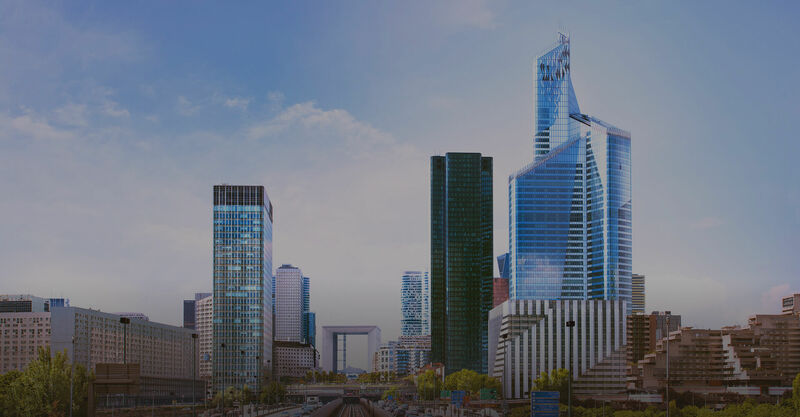 Our contribution to success: extensive global experience in strategic planning, financing, IT solutions, engineering, production, logistics and a lot more. Want to start a cooperation? Networking - our key success factor. 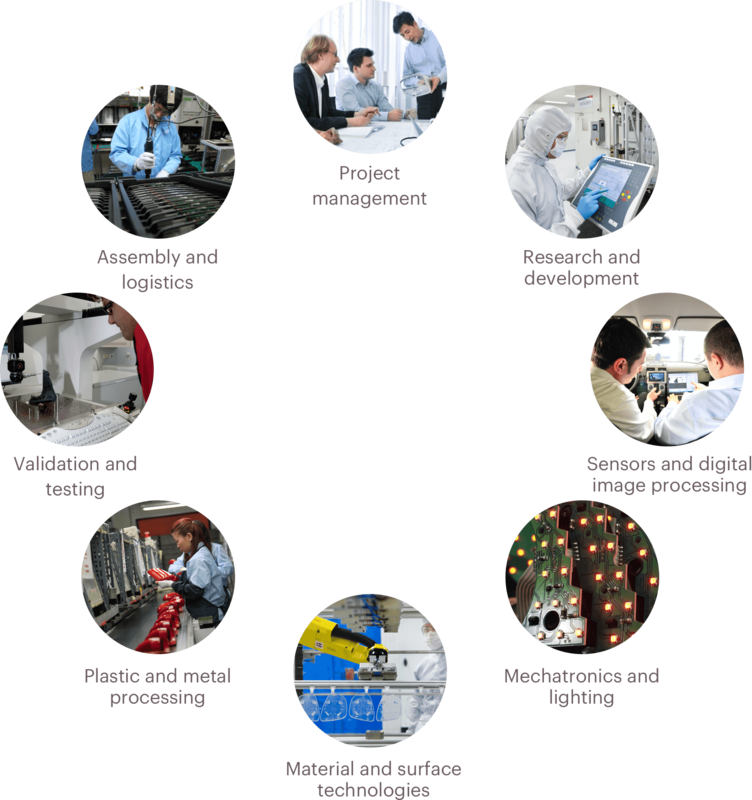 Motherson Innovation’s experts around the globe cooperate closely in the development and industrialisation of new technologies. They are linking leading technology specialists in the industry with the Samvardhana Motherson Group and its broad global customer base. A powerful network with the potential to provide all parties of this network best solutions and access to new markets. We help visions become reality. Motherson Innovations works collaboratively with customers to develop and produce simple to highly complex products. Cross-functional project teams can be established specifically to meet the customer’s needs within shortest time. Become part of our teams. Interested in working for Motherson Innovations? We have ambitious growth and expansion plans. And we are looking for motivated and creative people in multiple focus areas in countries around the globe. Check for current job offerings or contact us. The world is our home and lab. Motherson Innovations’ teams are based in the world’s most attractive industry regions – close to customers and partners. Direct access to the global operation and customer network of the Samvardhana Motherson Group with more than 200 engineering, manufacturing and logistic centers around the globe makes Motherson Innovations an optimal regional and global commercialisation partner. SMR Automotive Australia Pty Ltd. Need a general contact or want to get in touch with our experts? We are keen to meet with people, teams of other companies and institutions around the globe, always on the search for new opportunities and to find talents for our teams.